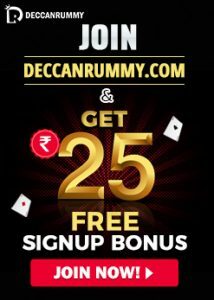 Hey, folks, you must be aware of the ongoing offers and promotions at Deccanrummy.com. In the event you aren’t aware of it, you might want to check them immediately. 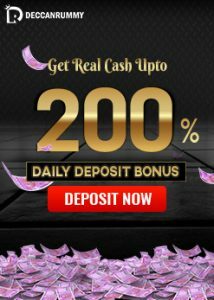 We have a slew of rummy bonus offers that are going to add value to your deposits. Deccan Rummy wants to ensure playing 13 card rummy games with us is an entertaining and rewarding experience. If you have the skill, if you have the determination & if you have the hunger to succeed, Deccan Rummy is the right place for you. We have many offers tailored to meet the expectations of our customers. Many customers are immensely benefitting out of them. Do you know that your loyalty pays off? Yes, it does here at Deccan Rummy. We value your patronage and support by crediting loyalty points to your account. 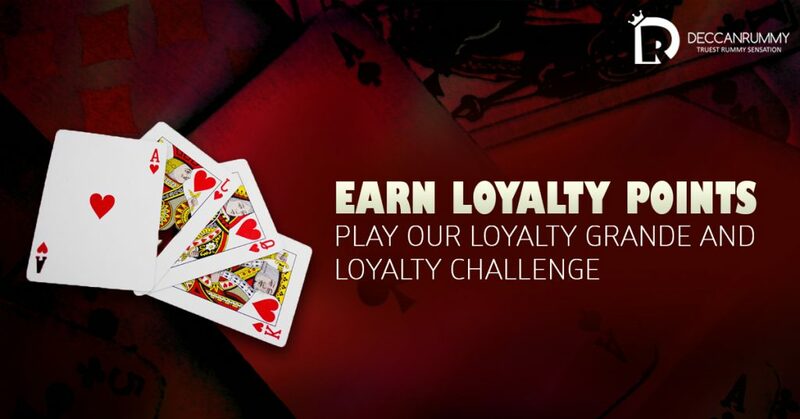 Using the loyalty points, you can participate in a wide range of rummy tournaments and contests. Not to forget the periodic leaderboard contests those come with huge giveaways. Online rummy tournaments are your one-way ticket to win huge cash prizes in a much lesser time than playing card games for hours together. This is exactly why we encourage our users to participate more in tournaments through our various social media channels. Rummy tournaments prima facie may appear too daunting for beginners. With experience, you can easily master all the rummy strategies and skills required for online rummy tournaments. We host two exciting tournaments based on Loyalty Points every day – Loyalty Grande and Loyalty Challenge. As the game indicates, Loyalty Grande is grand at all levels. We conduct Loyalty Grande every day at 11:30 PM. The registration for this wonderful tournament begins at 8:30 AM. The entry to this tournament is restricted to players who have generated 300 loyalty points within the last 3 days. The prize pool for this tourney is Rs. 400. 36 Players can participate in this tournament and prizes would be given to the top 6 players. Because of the simple nature of the game, this tournament sees many participants. Players should keep a constant tab on their loyalty points. Once they generate 300 loyalty points they must immediately register for this Loyalty Grande tournament. Just like our other tournaments, Loyalty Grande has been structured very easily so that players don’t have to endure any hardships while playing. Deccan Rummy conducts Loyalty Challenge every day at 7:30 PM. The registration for this tourney begins at 4:30 PM every day. Players who have generated 500 loyalty points in the last 3 days are eligible to participate in this tournament. The prize pool for this tourney is Rs. 400 and 36 Players can participate. Top 6 players are given cash prizes in this awesome tournament. Generate the required loyalty points and set our tables on fire with your skills in this fantastic loyalty challenge tourney. So, where can we expect to see you – Loyalty Grande or Loyalty Challenge? We can assure you a fabulous gaming experience in these tournaments as you are going to rub shoulders with some of our prolific rummy players. 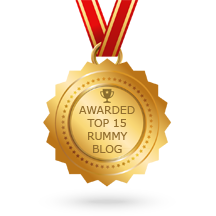 In order to improve your rummy skills, read our article about effective rummy strategies immediately. You can try playing these awesome Loyalty Grande and Loyalty Challenge tournaments from your mobiles for a rich gaming experience. Get the best 13 card rummy game download by downloading our Deccan Rummy mobile for FREE.